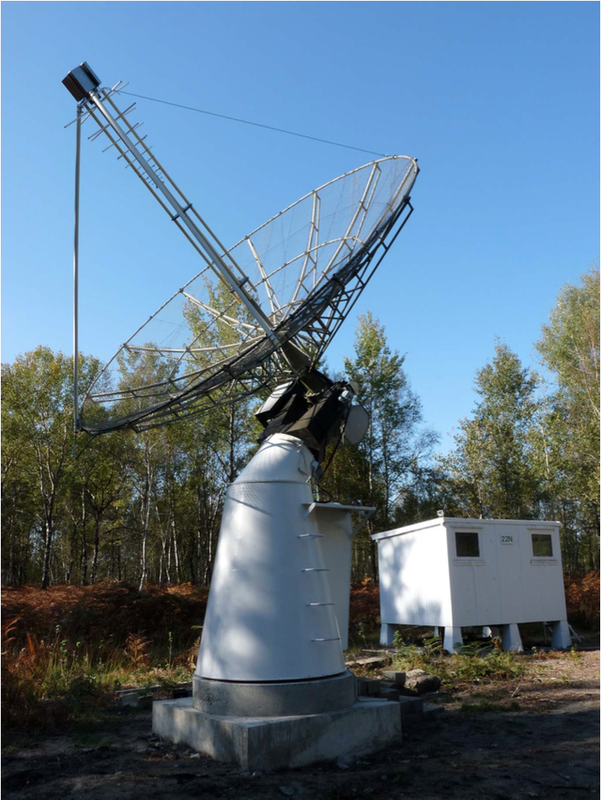 The ORFEES radio-spectrograph (Observations Radio pour Fedome et l’Etude des Eruptions Solaires) is the result of a partnership between the Paris Observatory and the Air Force French. It is dedicated to the observation of the solar corona between 144MHz and 1000MHz. The ORFEES radio-spectrograph is located at longitude 2°11’29 East and latitude 47°22’51 North. Based on a new type of digital receiver (Roach 1 map from the University of Berkeley, USA), the first observations were made in the spring of 2012. ORFEES has a parabolic dish of diameter 5 m and log-periodic dipoles array. The spectral domain is separated into five bands of 170 MHz. Ten spectra are recorded per second (total intensity, horizontal and vertical polarization). The radio telescope is operated automatically and tracks the Sun from 8:00 till 16:00 UT every day.